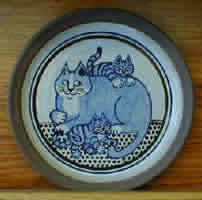 Jane Moore hand-paints these cats on Made in Jerome Pottery. 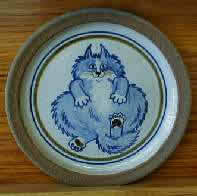 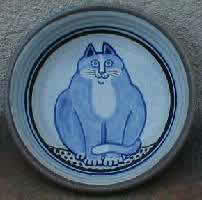 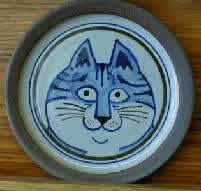 Cat designs are available on 8" plates and 7" bowls for $20.00 each. 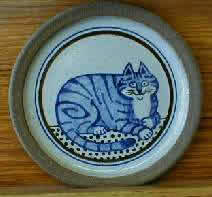 Cats are also available on mugs, jars and other sizes of bowl and plates. 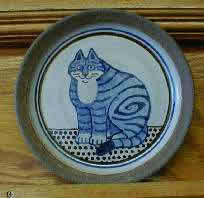 Check our price list for prices and ordering instructions.